Online English Teaching Job, full training provided if no experience! 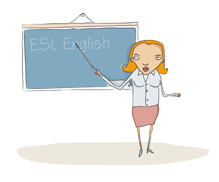 Online English teaching from home! A computer and high-speed internet connection is all you need. Full training and teaching material provided. 1 on 1, teaching small group of maximum 4 students, or big class of maximum 25 students(teaching assistant will help during the class). Students age: 5 to 16 years old.